It’s not easy making decisions about your finances, whether you are thinking short-term needs such as reducing debt or long-term objectives centered around investing. Making the right decisions can lead to financial stability and better wealth, while the wrong decisions can cause some major damage. That’s why hiring a financial advisor can be extremely helpful. A good financial investor should be viewed as an investment in your own financial future. In this article, we’re going to look at some of the key benefits to consider. A good financial advisor will review your statements and proactively reach out to you with any positive or negative feedback. They will offer strategies and ideas to help you achieve your financial goals. Just like you would hire an experienced lawyer to handle your legal needs or a brain surgeon to perform a brain surgery, financial advisors are specialists in dealing with personal finances. Their specialized knowledge and proven expertise are what you are paying for. A financial advisor will take a lot of stress off your plate. Let them simplify the financial process for you and help make important decisions. If you try to take it all on yourself, it could be overwhelming. If you have an attorney, CPA, tax preparer or other professionals working for you, a financial advisor can coordinate with them on your behalf. Your “team” will be working together (and also keeping one another in check) while protecting your best interests. You have to think of a financial advisor as an investment. Shop around and find one that offers reasonable fees and focuses on the financial advisement services you need specifically, like Ferguson, Timar & Company does. If your financial advisor helps you save more money and/or make more money over time than what you are paying them, then they are well worth the expense. Staying on top of your finances is important to Ferguson, Timar & Company. That’s why we offer quality accounting and bookkeeping services to make sure your business finances run smoothly. To learn more about our services, contact Ferguson, Timar & Company today. What Does the New Tax Law Mean for Individual Taxpayers? 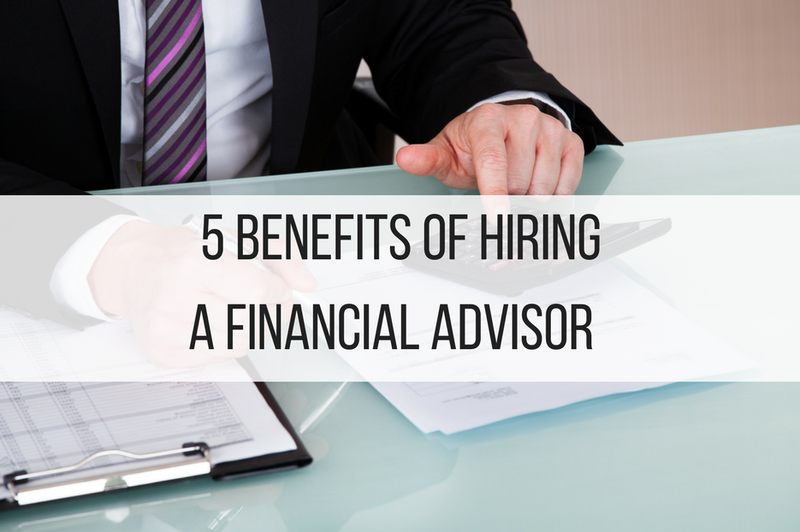 I agree that hiring a financial advisor could be a really good investment. I think if you look at the overall benefits that article listed as coming from hiring an advisor, It could be well worth your while to hire one. Since you’d want a financial advisor with a good amount of expertise like mentioned above, what tips would you give for finding a good advisor? I’m not very good at budgeting, so I can see how a financial planner would be helpful for someone like me. The article mentions that the specialized knowledge and expertise will be huge helps in allowing you to deal properly with your personal finances. Do you have any suggestions or tips for finding a good financial planner. I really need to hire a financial advisor. It’s great that it takes the stress away from important decisions and things. I’m not good with finances at all, so I could definitely use a pro’s help.